Kaarasaaram: Announcing "Royal Feast - Biriyani" and a Giveaway.. Announcing "Royal Feast - Biriyani" and a Giveaway..
My blog second anniversary is here and I am glad that I have reached this milestone. Actually I started this blog 2 years back but began to blog for real a year back. I want to say "Thanks a million". It was all possible because of the love and support of you guys. Actually I should have prepared a yummy dish to celebrate but I am happy just drooling over the dishes in all your blogs. Then it struck me, why not announce an event? Yes, I am happy to announce my first event "Royal Feast - Biriyani" . Coming to think of it, this is the season of baking cakes, cookies and anything and everything to do with a oven and there are so many events happening in the blogosphere. Do we need really need another event ???? There are umpteen number of varieties of preparing biriyani and just by varying the spices and cooking method and process, different flavours can be obtained. In TamilNadu , we have Ambur, Dindugal, Arcot, Vaniyambadi, Thalapakattu, Kongu etc varieties of biriyani prepared in various parts of the state. To know more about this dish and the origins please visit the page dedicated to this dish Journey of the Biriyani. a. Just cook a biriyani or pulao dish - veg or non-veg and post it in your blog from Dec 06 to Jan 25 2012.
b.Please link to this announcement page and usage of the logo is mandatory. c.Archives are welcome only if reposted and linked back to this announcement page. 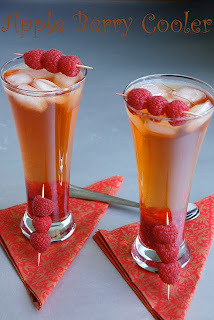 d.Use the linky tool at the end of the post to link your recipes. 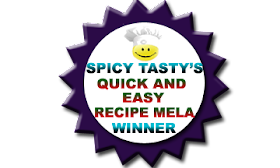 e.If you are having any problems linking up, just send me your recipe with your name, blog and recipe Url, pic to my email:kaarasaaram@yahoo.co.uk. 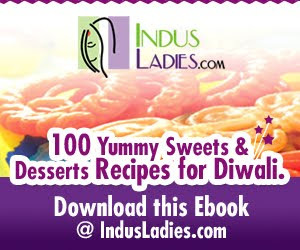 Coming to the interesting part, as this the anniversary for my blog , I am having a giveaway to celebrate this occasion "50 Great Curries of India" by Camellia Panjabi. It is a wonderful book by a world class business women who has her roots from Mumbai . She is credited to have introduced regional Indian food to the outside world. The testimony stands with ever full house restaurants in Central London, not one but four... "Amaya", "Chutnay Mary", "Veeraswamy" and "Masala Zone". Veeraswamy.com and What we really eat - Camellia Panjabi . I own this book [another copy] and I wanted to give it to two of you. Don't worry I will not give you the used one. The one that you see in the pic is a new book, fresh from the printers. Believe me, it gives us so much insight into Indian cooking. Some of the recipes are - "Chicken Pistachio Korma", "Madras Fish Curry", "Crab Curry" etc with a whole lot of vegetarian curries, rotis, sides and desserts..... and it is all yours. 1.Of course you need to link your recipe to this event. Leave me a note in the form of a comment after doing all the three. 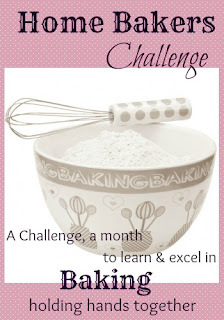 Your recipe will be counted for the giveaway only after completing the "step 2 and 3". If you are already following my blog, just mention so. Wow congrats and happy birthday to ur blogbaby Reva, briyani even i can have it anytime of the day..Happy hosting dear,will send my entries soon..
Congrats Reva on the 2nd Anniversary. I am the first to link a recipe here. Would also like to participate in the giveaway. Congrats...happy hosting,will send you some of my biriyani recipes soon..
Congrats on your 2nd Anniversary. Biriyani looks simply outstanding. Congrats Reva on your 200th post and your first event..love to see many more delicious posts from you...Definetly will send recipes..
Congrats on ur 2nd blog anniversary Reva, lovely event and will try to participate..
Congrats Reva dear on your 2nd anniversary.Btw,it's timely that I posted one Biriyani..You know that's how friend are..haha..
Will link to the vent..Nice logo of your as usual..You are a born artist dearie. Wonderful event with a great theme..will surely participate. Reva, a quick question- Is Pulao allowed? wow... nice event.. will try sending my entries soon..
Congratulations Reva on your blog anniversary and that's a super exciting event to celebrate this happy moment. Will surely send u some entries. Hi Reva !! Lovely and Easy Event. Hope i have followed you in both. Can u pls check as am facing some connectivity Problem. Congrats on your blog anniversary.And a very nice event will try to send in my entry soon. Many congrats on your event and also ur blog anniversary Reva.. I am already following your posts.. Will surely try linking up as it gives me ample time ! Congrats on the second anniversary of your blog...I will definitely send in my entry asap.. Happy Hosting!! !.I would love to participate. Hey good event. I have linked mine, and following you here as well as in Twitter. :) Enjoy hosting. I am following your thread from now on. But I don't have twitter. Hi Reva ,Congrats for your 2nd anniversary! !Nice event and great give a way..Love to link in my entries soon..
Congrats Reva on your 2 nd blog Anniversary. Congrats on the blog Anniversary Reva. Linked tw of my posts, I have been Kaarasaram follower from a while :) Hope that works, I do not have a twitter. Congrats on ur blog birthday. I have linked an entry. Would do a re-post and add other entries as well. And for the giveway part, I dont use twitter :-( hope its ok..
Have linked my recipe and am already following you on blogger and twitter. Congratulation to you and Happy Anniversary to your blog. I have linked my recipe for the event, and also following you on twitter as well as your blog. Exciting event...Biriyani,is my all time fav..
And..Pls visit my blog ..,Thanks..
Reva, Congrats dear :) Keep Rocking :) Great event !! Linked my entries !! I am following ur blog as well as in twitter !! Happy Hosting! Nice Event.Love to participate. Congratz...on ur 2nd blog anniversary,my native is also CBE...I've linked my post to this event and following you on facebook and twitter....Thanks for the nice event..and by the way post the recipe of the biriyani recipe on the logo..becoz this is the same colour my grandma used to make when we were all kids..
oh...i missed sending my recipes..i thought the linky would be open till 31 Jan. Can I send it to you by mail?